Do You Need an Online Transcript Management System? 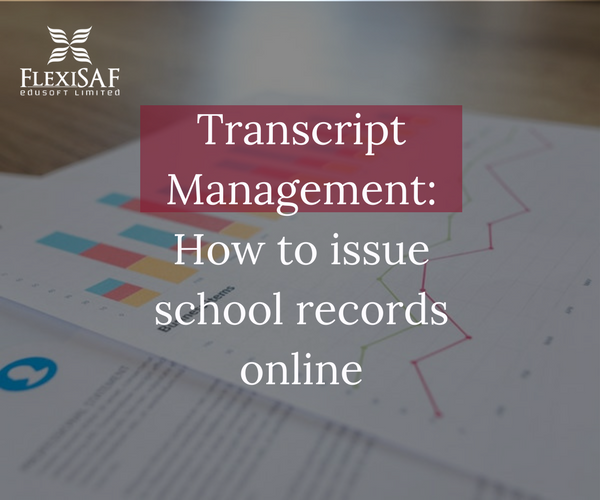 Is your school considering an online Transcript management system or you’re still processing transcripts manually? For school admin staff, it’s especially tasking having to search through piles of student records at every transcript request, especially in public schools where there are thousands of students requesting for a transcript each semester. But the process is not only tedious and wasteful for the staff and institution, but also for the students. In some cases, especially in public universities, there may even be loss of records/results as a result of human errors. Thankfully, an electronic transcript management system can cut short the time spent on transcript processing into as little as 24 hours, and guarantee minimal human error. Not so long ago, university graduates were obligated to request paper transcripts directly from their alma-maters. Staff responsible for this exercise pile tonnes of such requests and retrieve records manually from an even bigger pile of students’ files. The entire cycle could take months, even years in extreme cases. Every modern institution today is now processing transcripts electronically to save time and money. In addition, the effort required is also very little. If your school is in need of any of the above, then you should invest in a good records/transcript system. You can find out about our solution; SRMS here. With SRMS, students can pay online to facilitate transcript requests, with our transcript request and payment solution, alumni from far and wide can put in a request for transcripts, make payments online, and have their transcript sent via email and/or mail post. Besides making the process easier and quicker, there is also removal of human error and the students records are saved, even 10 years down the line. Does your school issue transcripts manually? Or electronically? Comment below! I’ll start; I ordered my university transcript online, one year after graduating – I didn’t have to travel back to the school!